If you are one of those people who are either fed up of the default Android Qwerty keyboard that you have on your android phone or you are in need of a few changes and that you obviously cannot make to your default Android Qwerty keyboard then I guess it’s time to change from the default keyboard to something more fun and solid in use. 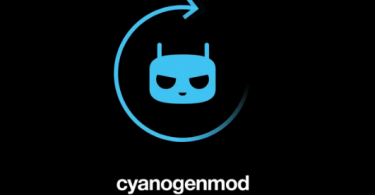 Thanks to Android, it has always provided its users the flexibility of choosing between tons of options when it comes to customizing the use of your phone. In this article, we would go through some of the best Android Qwerty Keyboards that would give you a list to choose from and I assure you that you would find exactly what you are looking for. Just keep reading! Talking of Custom Android Qwerty keyboards, the Adaptxt is just one of its kind and one of the most intelligent keyboards you would ever come across. All the standard options, for instance, word prediction, emoji button etc are included on the Adaptxt. The point where it takes a lead over all the rest of the keyboards is the point where it comes to customization, you can just totally make it your won by selecting each and every attribute according to your taste and type of usage that you would require from your Android phone. You can literally change each and everything that is contained within this Android Qwerty Keyboard, such as, the font, text color, the trace color that you would see while swiping over the keyboard for the right combination of words and the keyboard color. Adaptxt does not only let you change the color of your keyboard, instead it lets you put up a background picture of your choice on the keyboard that adds up to the overall feel of the phone and its use. Adaptxt is freely available on Google Play Store but to add up all the features, one needs to pay $0.99 after downloading and installing the application. According to me, it is totally worth it. 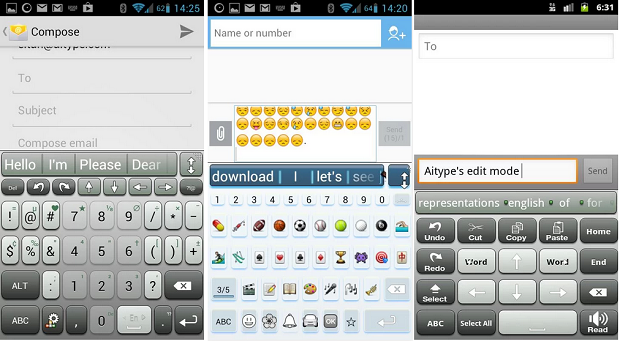 Next up on the list of top 5 Android Qwerty Keyboards is the AI Type Android Qwerty Keyboard. This Android Qwerty Keyboard will give you the feeling of that one person who is wearing a formal suit, whereas, the rest of the people surrounding this person would be in pajamas or track suits. 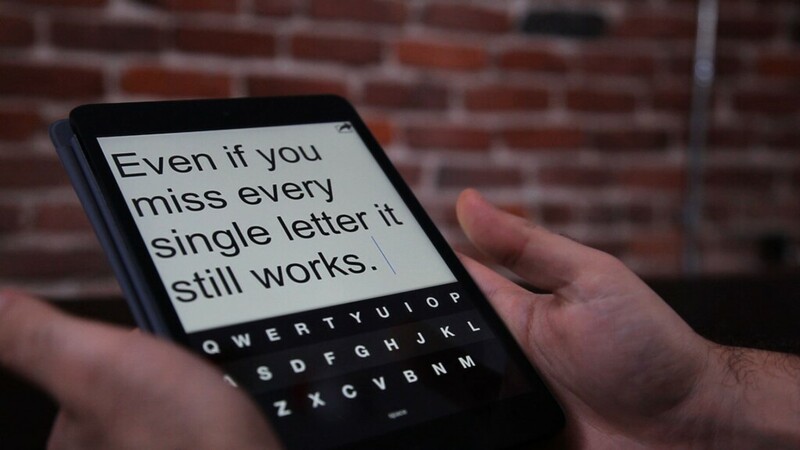 That example might hurt the rest of the Android Qwerty Keyboards but this is totally true. The AI Type Keyboard has one of the best designs available out there and you can actually make good use of all its features because they are put up so nicely that it cannot just be missed by the user’s eye. If you are looking for one of the most eye pleasing keyboards out there or if the default keyboard does not seem to provide you with the right kind of colors and theme etc. then just pick this one without another thought. The menus contained within the application are well designed and the keyboard is pretty accurate while typing in speed. Last but not the least the word prediction is not as good as it should have been but it can still compete one of the best keyboards that are being used the most as an Android Qwerty Keyboard. 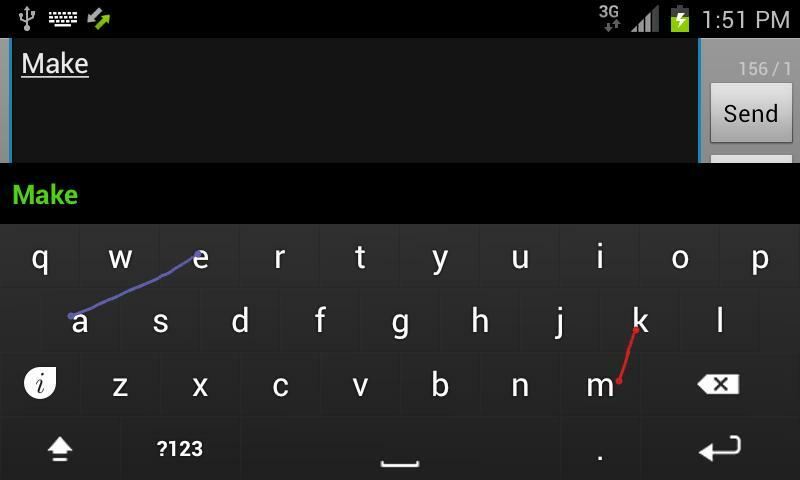 Fleksy is one of those Android Qwerty Keyboard that shook the market with its release. Competing against one of the best Android Qwerty keyboards available on the Google Play Store, this Android Qwerty Keyboard is actually making a name for itself faster than anyone ever thought it would be able to. It has an above average word prediction capable engine that reads the where you place your fingers rather than reading the letter, which in theory lets the application figure out what you plan on typing. With one of the most exotic designs and colors, the Fleksy, packs up gesture typing and support for multiple languages. Moreover, the fleksy is one of the few keyboards that are compatible with Android wear, so if you are one of those people who would like to have the same keyboard on all their devices then Fleksy is the Android Qwerty Keyboard best suited for you! The Keymonk Keyboard is one of those Android Qwerty Keyboard that polishes the existing the existing features that an application is based on and later takes it over as if they never existed. If you are a fan of swipe typing and you are looking for something more than the Swype Android Qwerty Keyboard, then stop waiting and just go get the Keymonk Android Qwerty Keyboard. This has taken the swipe feature to a whole new level, now you will be able to use two thumbs for swiping over the keyboard and choosing the right word for you and you would actually find out that it is faster than any other swipe keyboard that is available in the market including the swype which initially came up with this feature. The only point where you might not be impressed by this is the fact that you would have to pay $3.99 to get this Android Qwerty Keyboard from Google Store. Talking about the best Android Qwerty Keyboard and not including Swift Key is like talking about fruits and not mentioning apples. Yeah, it actually is that serious! Jokes aside, the Swift key is that keyboard due to which all the rest of the keyboards came into play. All the famous keyboard available out there as of today is because they are in one way or the other competing against Swift Key. So, if you are completely tired of using Android Qwerty Keyboard that do not satisfy your needs then get the Swift key and you would definitely see them fulfilled. With the best word prediction out there, better than the default keyboard that any version of Android comes with. The most speedy and feature filled Android Qwerty Keyboard, the swift key is totally the best keyboard on the Google Store. It allows you to choose from a number of themes and colors that would go with your choice and make it a whole new and refreshing feeling for you every time you type. This Android Qwerty Keyboard supports several languages, emoji’s and even comes with the swipe feature, so you can switch your context of typing anytime and any moment.